Good afternoon from Esquire Photography HQ in Newport Beach everyone! I’m a Newport Beach Wedding Photographer who got up at “O’Dark Thirty” & rocking the post production of Christina & Michael’s Corona wedding I photographed yesterday and as I’m reviewing the nearly 2,000 photographs I captured – I am excited to share with you a collection of my favourites from their wedding I photographed at the Champions Club at The Retreat. Their fairytale Corona Wedding was absolutely perfect beyond belief. Michael & his men were impeccable in their tuxes from Friar Tux and Christina looked like she stepped out of a Audrey Hepburn movie in her Madeline Gardner wedding gown by Mori Lee, a bouquet from Floral Sensations, a garter her friend; Liz made that was Star Wars themed and her handkerchief her mother made for her when she was a little girl. Christina & Michael’s sunset wedding ceremony was filled with tears of joy and a wedding reception that seriously rocked through the night with the guys from JC Entertainment. From the Blessing Dance (in place of a money dance), a Garter & Bouquet Toss that got seriously rowdy (YEAH! ), an epic cake from Cucamonga Cakery that was perfect for the delicate cake cutting – which was followed up with a ginourmous group photo that I instigated with everyone in the room and a few of my Signature Night Romantic portraits with Christina & Michael under the moon-lit sky. It was like I said; a Fairytale Wedding. I would like to say thanks to Trevor & Liz from Event Filming.net. As I mentioned last night, you both were a totally awesome to work with & I seriously am eager to work with you again. ALSO! I have to give a MEGA Wholly Nachos & Newcastles shout out to Ms. Lyndsey Thomas, Valservenience Director and Sandy the Banquet Captain at the Champions Club at The Retreat too. You two ladies led a brigade of professionals – making sure Christina & Michael’s Corona fairytale wedding was absolutely perfect for me to capture beautiful and timeless photographs for their family & friends to enjoy throughout the years. You guys totally rock!!! I’ve put together a beautiful slide show of just a few of my favourite photographs I captured during Christina & Michael’s Corona Wedding at the Champions Club at The Retreat below. But before you scroll down to check it out and you’re thinking… Hey – I’d really like to get to know this Newport Beach Wedding Photographer (Previously a Huntington Beach Wedding Photographer) that loves weddings & romance, photography and art, feel free to contact me anytime. I hope you’re having a great weekend and stay tuned for some amazing events that I’m sharing. From San Diego to Newport Beach, Ventura and all the way out to Berlin, Germany, London, England and Paris, France – I’ll have some fantastic Weddings, Lifestyle Photo Shoots and Events that I’ve had the honour of photographing – cheers! 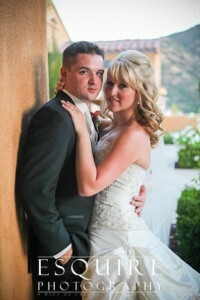 to show some love for Christina & Michael’s Corona Wedding I photographed!